Note from the editor: There’s a world teeming below your feet in the Washington wetlands, a world we’re just beginning to document with the help of volunteers through the Amphibian Monitoring Program, a Living Northwest citizen science project. 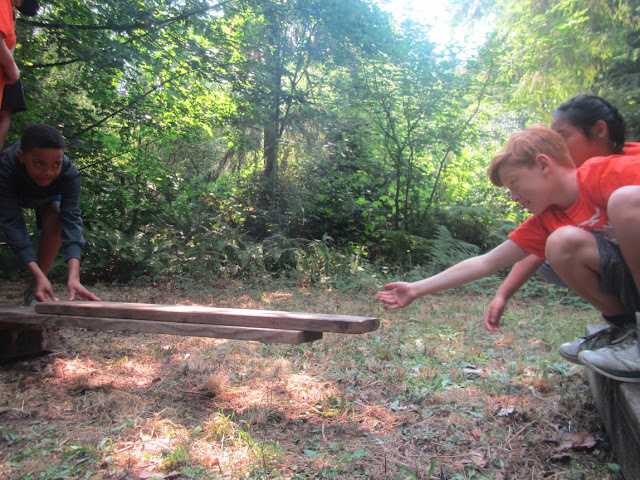 Amphibian Monitoring is offered through Woodland Park Zoo’s Living Northwest program, in partnership with Washington Department of Fish & Wildlife (WDFW), Northwest Trek, and Point Defiance Zoo & Aquarium. Going on the sixth year of this citizen science effort, volunteers work in teams to survey ponds and wetlands in King and Snohomish Counties. A successful transition to iNaturalist, a user-friendly network for sharing biodiversity observations that connect wildlife enthusiasts around the world. Over 75 Woodland Park Zoo volunteers on 12 monitoring teams who surveyed their chosen site once a month from February through the summer months, contributing over 400 hours! Over 200 observations of nine different amphibian species submitted to our Amphibians of Washington project page on iNaturalist. 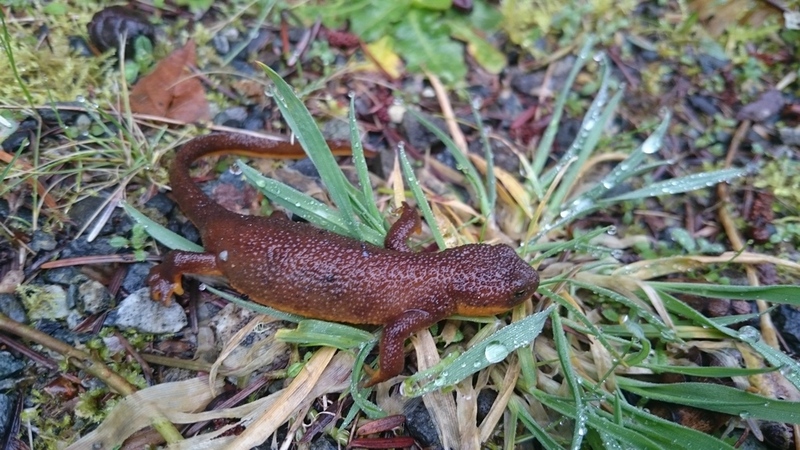 These observations provide Washington Department of Fish & Wildlife (WDFW) biologists with critical observation data that could help inform amphibian and wetland conservation in light of increasing development and climate change pressures. 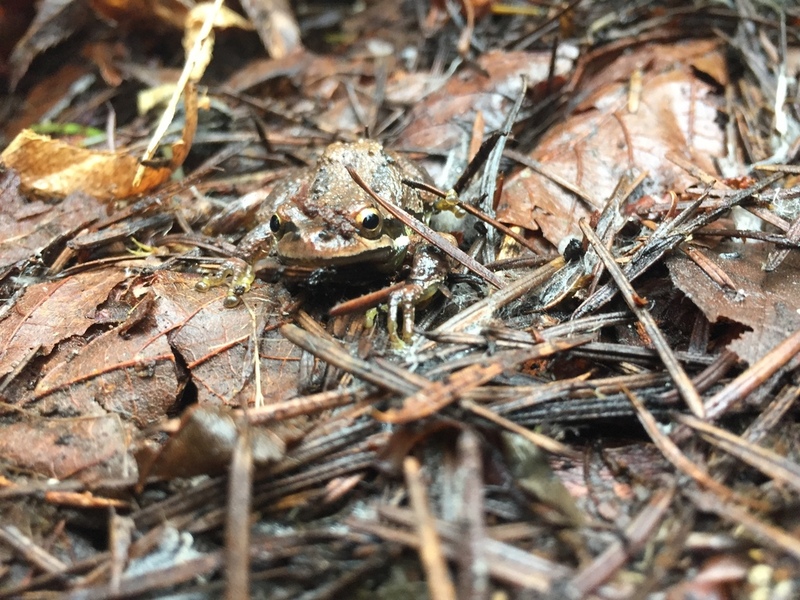 In this program, participants are trained by Woodland Park Zoo and WDFW staff on how to find and identify local amphibians in a way that’s safe for people, wildlife, and habitats. 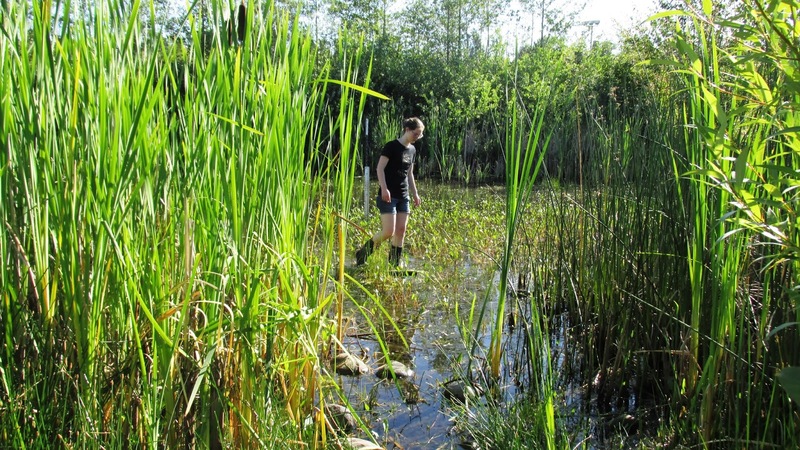 Volunteers form teams choose a local wetland or pond and monitor their site once a month—recording data and taking photos of any amphibians they see. Thanks in part to a Watchable Wildlife contract with WDFW, teams even have access to monitoring tools, including hip waders, aquascopes, digital cameras, and GPS units! In addition to providing much-needed data on amphibian populations to WDFW, this program also furthers the zoo’s mission by providing volunteers with opportunities for increased knowledge and appreciation for amphibians and their wetland habitats, as well as the skills to do relevant, hands-on scientific data collection. For the past three years, 100% of respondents reported an increased interest in and appreciation for amphibians and their wetland habitats on the end-of-season evaluations. Additionally, for the past three years, 100% of respondents reported that they’d be likely or very likely to participate in the next season of Amphibian Monitoring. Of a pond that sedges poke above. Gently wade in shallows at the shore. Checking under stalks and fallen leaf. With date and time and waypoint GPS. Whose reproductive talent has been proven? Or the nature-hounds in data’s hot pursuit? 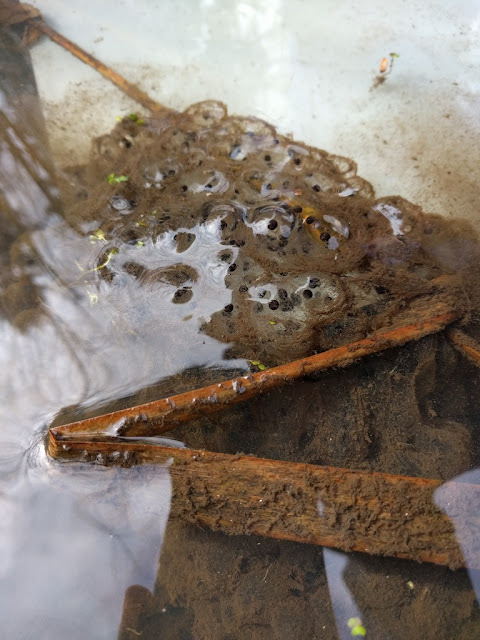 Red-legged frog egg mass observed at Lewis Creek Park by a team of Bellevue Master Naturalists. Interested in participating in our 2018 Amphibian Monitoring season? Please see www.zoo.org/citizenscience for more information and sign up on our interest list. World Gorilla Day asks people from all over the world to celebrate these amazing animals and take action to protect endangered gorillas in the wild and save their ever-shrinking natural habitat. 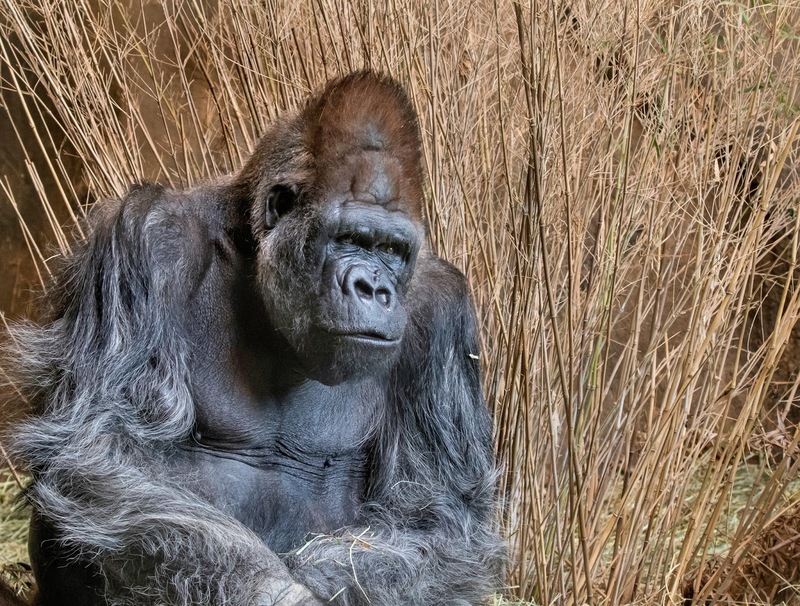 Yola has captured our hearts, but her wild cousins need even more. Photo by Jeremy Dwyer-Lindgren, Woodland Park Zoo. The largest of the primates, gorillas are often the first great ape that we are introduced to as young children. Their intelligence, gentle nature and magnificent strength make them both awe-inspiring and familiar. They are also the most closely related primate to humans, after bonobos and chimpanzees. Every day, we see zoo guests, members, keepers and volunteers alike, standing in awe of playful Akenji, peaceful Pete or curious little Yola. Their presence is inspiring. It is easy to love them, but on World Gorilla Day we ask you to act on behalf of this critically endangered species. 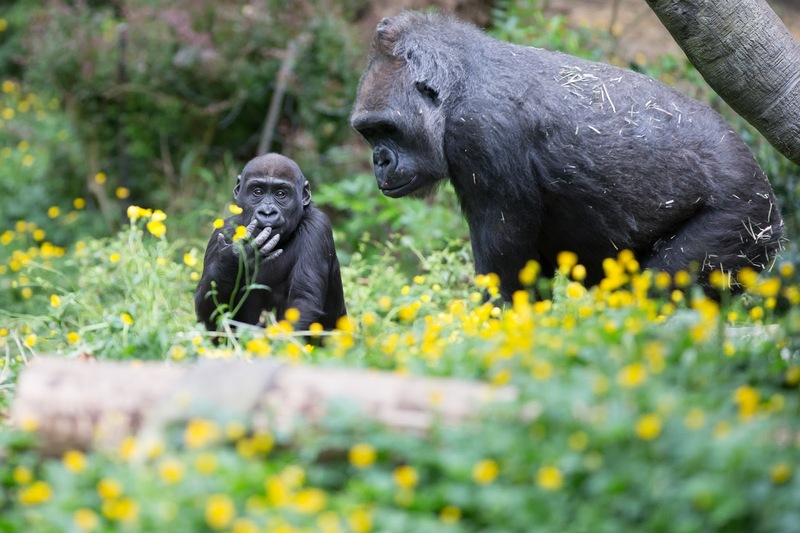 Yola and Nadiri enjoy the spring blooms. Photo by Jeremy Dwyer-Lindgren, Woodland Park Zoo. Gorillas are split into two locations in Africa. 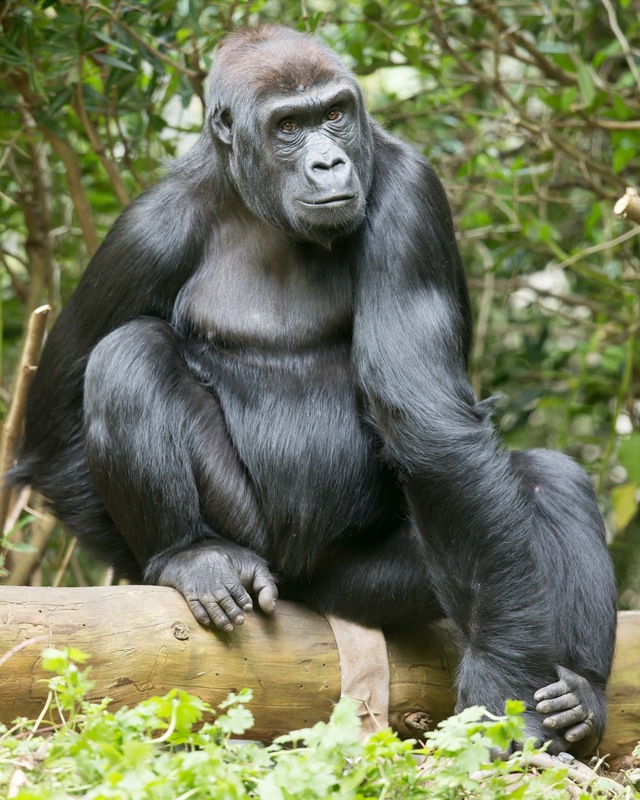 Each species, the Western gorilla and Eastern gorilla are separated by the Congo Basin forest. 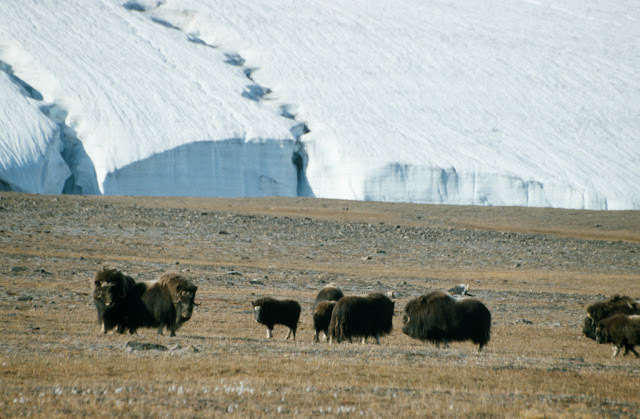 Both species are also divided by a lowland and upland subspecies. All are endangered or critically endangered. All gorillas are threatened by habitat loss, wildlife trade, hunting, disease and human conflict. Critically endangered and losing ground every day in the wild, gorillas need our help. Photo by Jeremy Dwyer-Lindgren, Woodland Park Zoo. Come recycle your handheld electronics with us through ECO-CELL to preserve gorilla habitat. By reclaiming the minerals in your electronics and diverting them from landfills, we can reduce demand for mining in gorilla habitat. Coltan, source of the element tantalum, provides coating for components of cell phones and other popular electronics. Unfortunately, this material is found in the same habitat as critically endangered gorillas. These gorillas are being killed by rebels who are mining these materials. Because mining brings more people to the area, the gorillas face habitat loss, being killed for wildlife trade and accidentally being caught in snares intended for other bushmeat. The U.N. has reported that in the past five years the eastern lowland gorilla population in the Congo has declined 90%. How: Bring any old cellphones, MP3 players, or tablets hanging around your house to the zoo and drop them off at our ECO-CELL station at Woodland Park Zoo's West Membership. 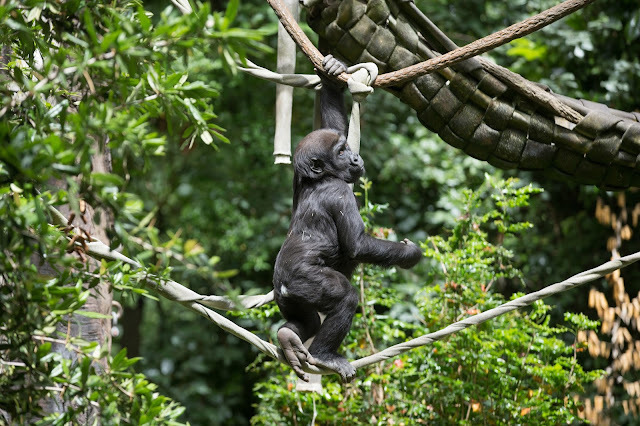 Funds generated from recycled electronics will go toward our Mbeli Bai Gorilla Project that works to protect gorilla families like Yola’s in the Republic of Congo. 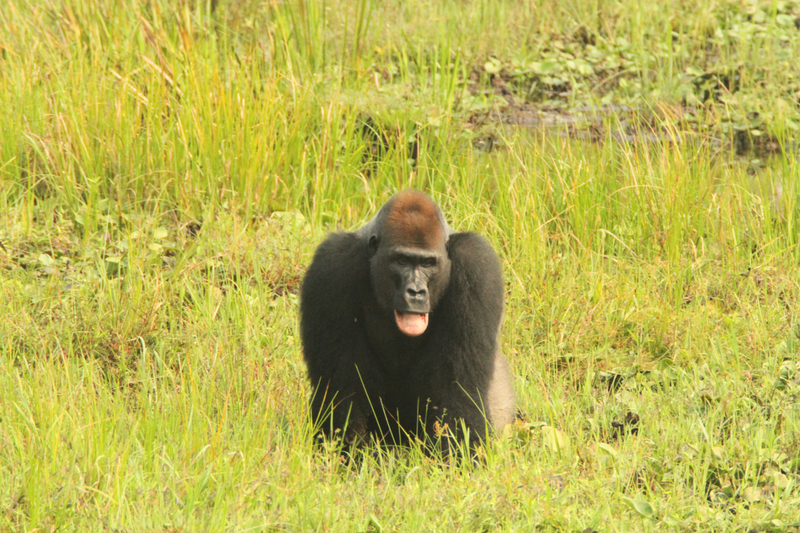 Yola doesn't ask for much, make her day by taking a conservation action! Support companies that source minerals through legal and transparent supply chains. Photo by Jeremy Dwyer-Lindgren, Woodland Park Zoo. By purchasing FSC-certified forest products, you can help protect gorilla habitat by encouraging sustainable forestry and curbing illegal logging. Without the FSC label, your timber might come from illegal or destructive sources in central Africa. Do the right thing and support companies that are FSC certified. 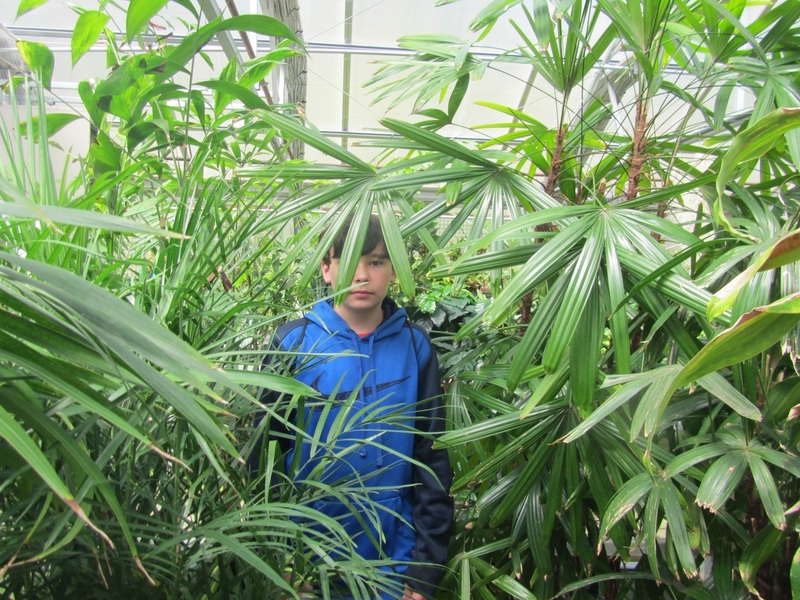 ZooParent adoptions are the perfect gift for budding conservationists. Your ZooParent adoption helps us provide exceptional care for all of Woodland Park Zoo's amazing animals. Plus, your support contributes to our conservation efforts at the zoo and around the world. The Zoo: Every visit to Woodland Park Zoo helps support conservation efforts like our Wildlife Survival Fund project, the Mbeli Bai Study. The study researches the social organization and behaviors of more than 450 lowland gorillas living in the Republic of Congo, providing the scientific basis for conservation strategies. Gorillas in the wild: Tourism can help local conservation organizations bolster the support they need to do critical work to save gorillas in the wild. Consider becoming a force for conservation by traveling with organizations that offer responsible conservation tourism packages, such as World Wildlife Fund. Your next adventure could help protect a species. Pete, 410 lbs. of awesome wants to thank you for advocating for gorillas in the wild. Photo by Dennis Dow, Woodland Park Zoo. Spread the love. Tell us, and more importantly your friends and family, why you love gorillas. Consider sharing a conservation action. Did you recycle your cell phone, pledge to buy FSC-certified wood products or donate to a gorilla conservation fund? Give yourself some credit and celebrate by challenging others to take action for these peaceful, beautiful creatures. Through the ZooCrew programs, we excite youth from communities across King County about STEM (Science, Technology, Engineering, and Math) subjects by engaging with real-world conservation issues, preparing them for continued involvement in Woodland Park Zoo’s youth programs, and inspiring them to consider a broad range of STEM and conservation careers. 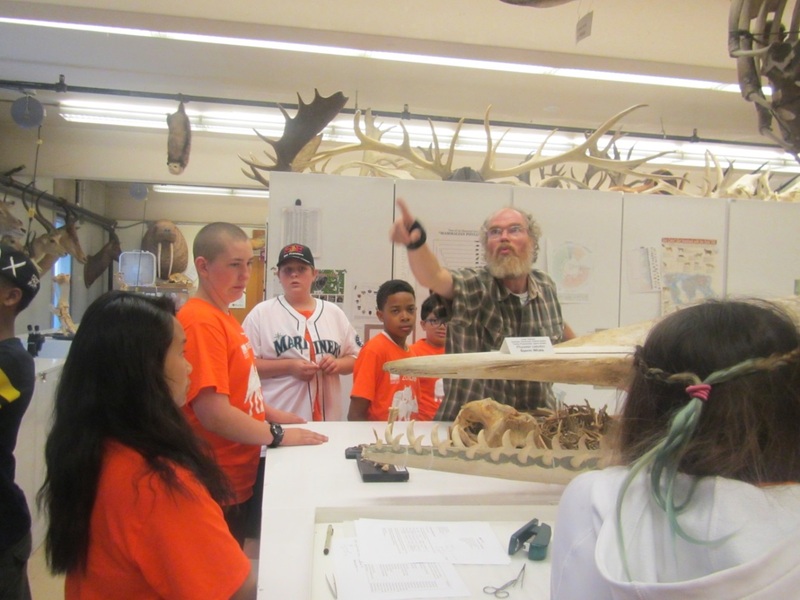 We believe engaging these students, as well as youth across Washington state, is key to solving current conservation issues in our own backyard and around the world. Over two four-week sessions this summer, we focused on exploring the personal actions that we can all take to make our lives greener. 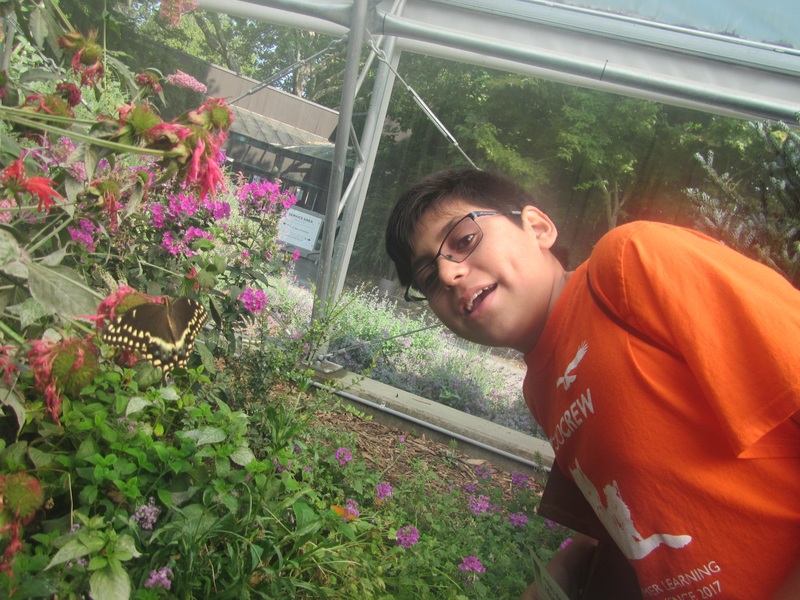 We used both the zoo and field trips across the city to explore topics such as food impacts, water waste, and living with urban wildlife. From planning and cooking their own lunches with sustainability in mind to creating phone-based video games to teach people about what they could do, students took full advantage of this free program funded by the Families & Education Levy through the City of Seattle Department of Early Learning. By the end of the summer, the next generation of conservation leaders returned to their communities ready to share tips of living greener with their peers and neighbors. 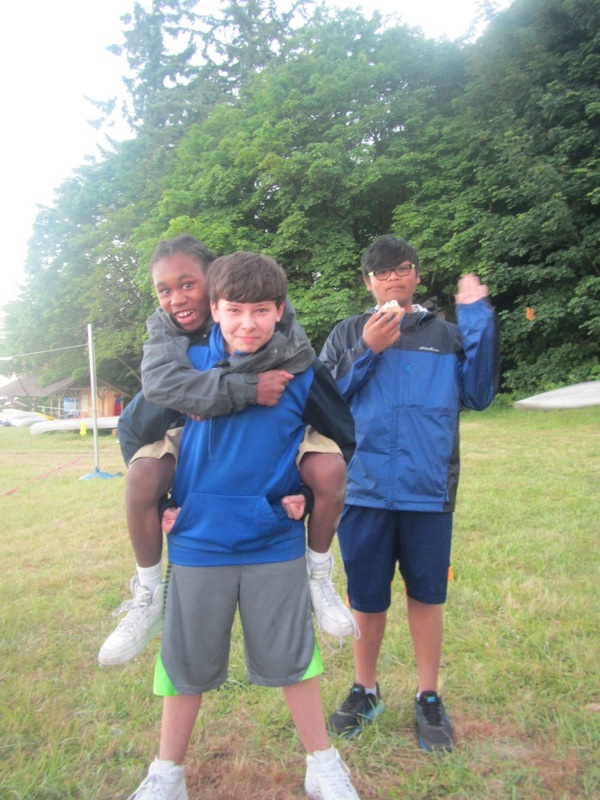 We started our program with an overnight camping trip to the Key Peninsula. There, we focused on the different types of leadership that each youth brought to the group and asked them to “step up and step back” so that everyone could have a chance to grow as a leader. We proceeded to put this to the test the next day with some team building exercises. We also spent some time bonding through kayaking and paddle boarding in the sound, lots of games, and far too many s’mores around the campfire. After getting to know each other and forming a tight-knit team, we were ready to delve into our summer topics. Getting across a series of platforms with just two boards takes a little planning and lots of cooperation. 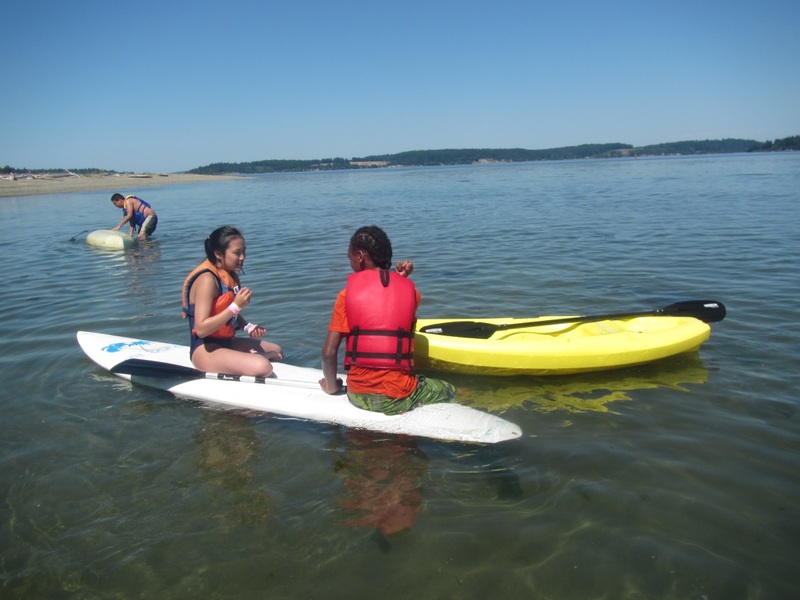 Rock-paper-scissors solves all disputes in ZooCrew including who gets to use the kayak next! Owen needed to test a couple of s’mores before he was willing to give them his approval. Arguably no age group is more concerned with food than middle schoolers. With that in mind, the first topic we delved into was where our food was coming from and the impact that different foods have on the environment. Armed with this information, students paired off and created their own menus for different lunches throughout the summer. 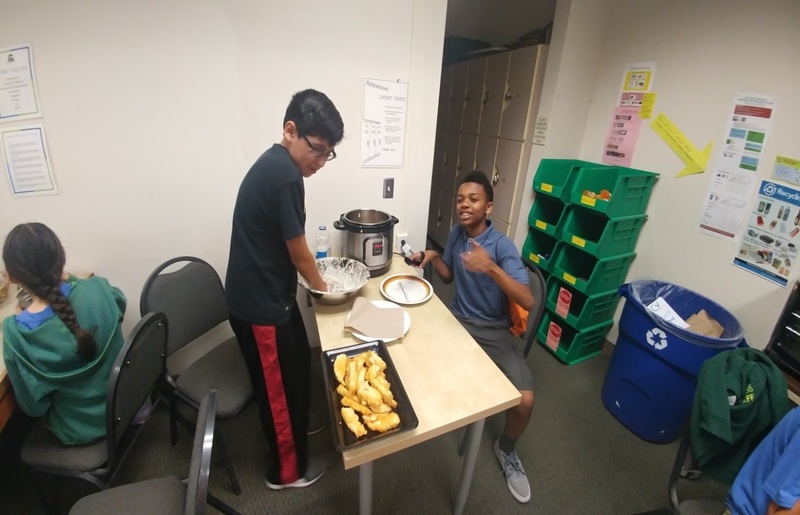 Not only did they have to justify why their meals were taking sustainability into account, but they had to make a shopping list, plan out their cooking and prep times, and help staff cook the meal! 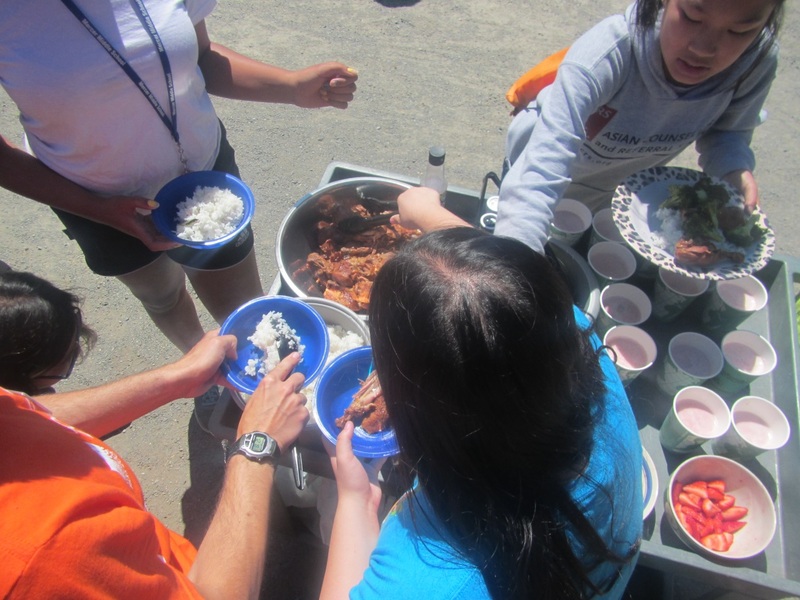 Chicken adobo, fish tacos, and mac and cheese were some of the many dishes students cooked up, and they were often accompanied by local, seasonal fruits. Needless to say, this was a highlight for many of the students. Joel brought in his mother’s famous fish taco recipe. He took on the battering while Andre took care of frying. Chicken adobo, rice with broccoli, and seasonal fruit smoothies! It was a busy day in the kitchen! We spent the rest of the week focusing on other food sustainability issues including waste and composting (including a trip to visit Dr. Doo and the zoo compost yard), pesticide use at the Molbak’s Butterfly Garden, and sustainable practices around foods like palm oil and cocoa. 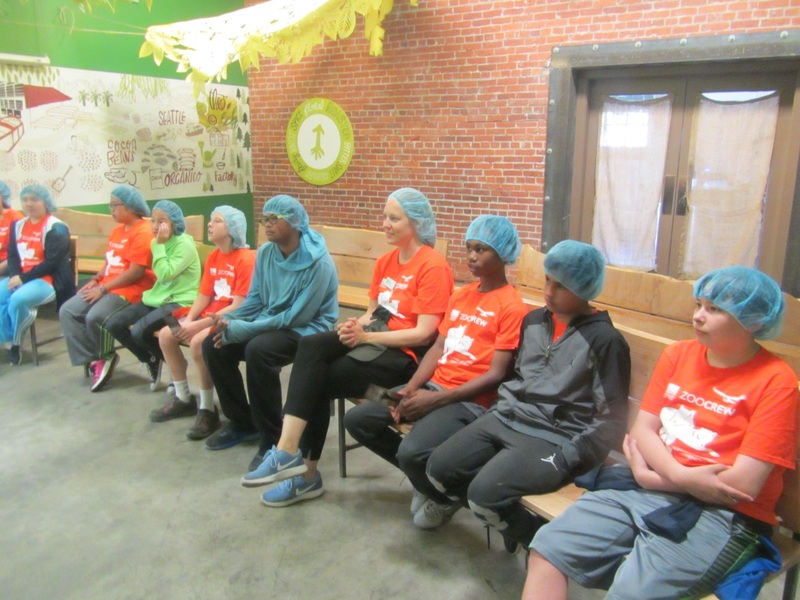 Of course, this had to include a tour of Theo’s chocolate to talk about the work involved in setting up a sustainable, organic, and fair trade food supplier. 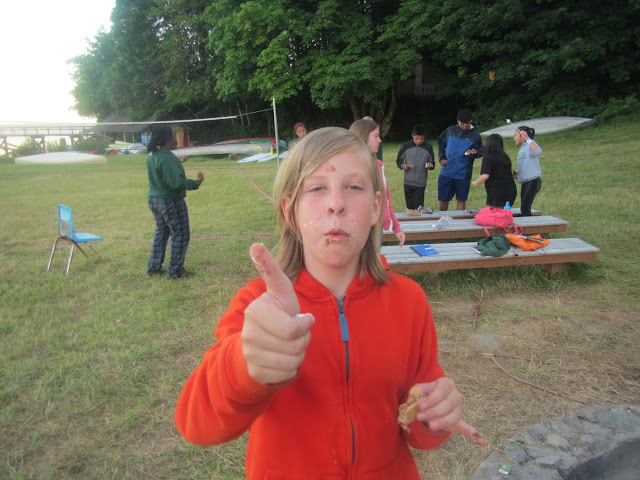 The students didn’t seem to mind that this also involved sampling some of the chocolate! We also got to visit the Tilth Alliance’s newly renovated space in Rainier Valley and discuss what it takes to grow our own food here is Seattle. Learning about fair trade chocolate is made far more interesting when it gets mixed with samples! Butterflies and other pollinators are important contributors to many of the foods we eat. Living in the rainy northwest, water conservation is not always on the tops of our minds. However, the recent dry summers have helped to highlight the importance of this issue, and students were shocked to see how much water they were using for many of their daily tasks like showers and flushing the toilet. After some debates around the feasibility of taking less than a 10 minute shower, we also took a trip to the aquarium to learn about the steps they are taking to conserve not only water but the animals that need that water around our area. While we often think of the amazing natural places around our city as where most of the animals live, we have many urban residents in our own neighborhoods. 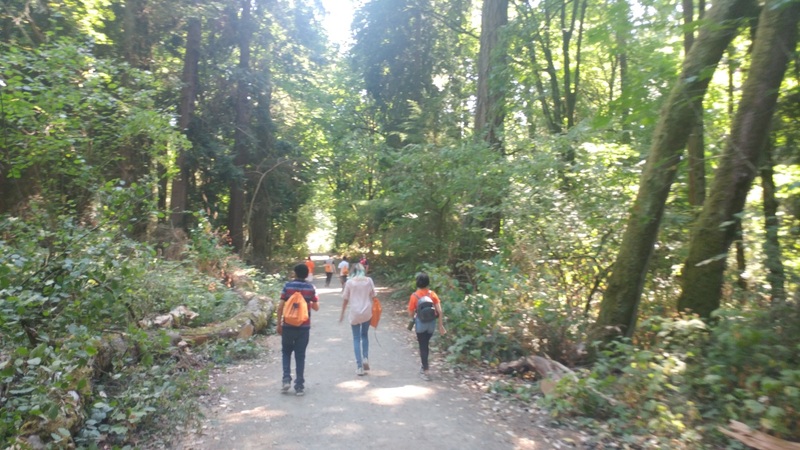 After a tour of the Northern Trail at the zoo to learn about coexisting with carnivores like wolves and bears, we went out into local parks with Mark Jordan, Assistant Professor of Environmental Science at Seattle University. Professor Jordan showed us how to set up camera traps and shared what he had found from studying the carnivores that live in the parks around the city. We also visited the Burke Museum where we got a behind-the-scenes tour of the bird and mammal collections as we talked about how research collections can help us study how animals have changed over time. Students explored Seward Park looking for signs of wildlife after seeing some images of them from Professor Jordan’s camera traps. Collection manager Jeff Bradley took ZooCrew behind the scenes to explore how research collections like those at the Burke can help us understand how animals have changed over time. From cell phones and computers to clothes and fidget spinners, youth today are the prime audience for many consumer goods. After discussing how many of these products are designed in a way that make then obsolete or unusable after a certain amount of time, we discussed different ways we could reduce the amount of waste we use and encourage the reuse of things around us. We followed this up with a trip to Gasworks Park to discuss re-purposing and recycled art. 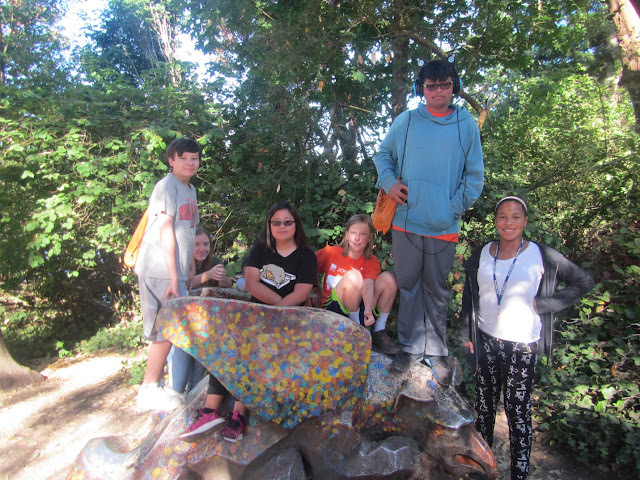 When we weren’t off on field trips, we were enjoying out time on zoo grounds looking at animals and getting to go behind the scenes and talk with zoo staff. We got to visit the commissary where we learned about how the zoo gets the food for all its animals and how it is prepared. We took a tour of the greenhouse to learn about the ‘compost tea’ the zoo uses to fertilize many of the plants on exhibits and grounds. Finally, we also got to visit ambassador animals and learn about what it takes to care for animals that interact with the public. Xavier decided he wanted to stay in the greenhouse and live with the plants. Through all of this, students were working in groups to put together a geo-location based game that people could play on their cell phones using a program called Taleblazer. Pulling on the short stories we read during the summer as well as our discussion with Earthgames founder Dargan Frierson from the University of Washington, student created their own story that allowed people to interact with characters and solve mysteries while the physically moved around the zoo. Their creativity was showcased by the variety of stories, characters, and even artwork that was used. 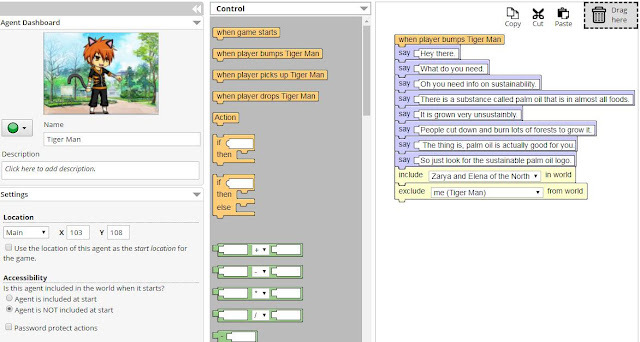 A screenshot from “Sustainability, The Manga”, one of the many games created this summer. Dan had a lot of fun creating all the characters himself. At the end of the program, participants invited their families to the zoo to show off their games and enjoy an evening looking at animals. We want to send out another thank you for all the work that ZooCrew parents and guardians put in to help make the program run smoothly this summer. We also wanted to thank all the zoo staff and community organizations that helped provide such a great experience this summer. We look forward to a new topic and some new adventures next summer with our next summer ZooCrew group! Until then, look for ZooCrew this fall at select middle schools in the area. You can add one more outdoors enthusiast to the lineup of PNW adventurers—Aibek took to climbing, pouncing and stealthily sneaking through the outdoor snow leopard exhibit this morning for the first time. The 2 month old male snow leopard was so eager to explore his new digs that he actually beat mom out the door, but Helen was close behind the little explorer to keep an eye on him. Prior to Aibek's first morning in the September drizzle, keepers weighed the cub (10.2 lbs.) and fed him a few meaty snacks. Keepers also sprayed a bit of cologne on branches and logs in the exhibit to entice mom, Helen. A meat treat was another incentive to head into the yard. 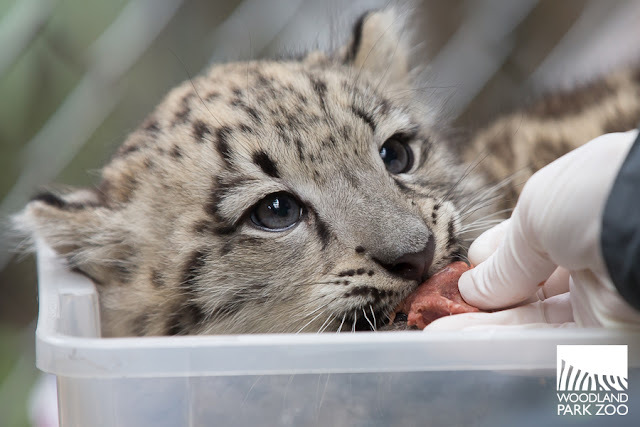 Aibek has been eating mostly solids, although he is still nursing. 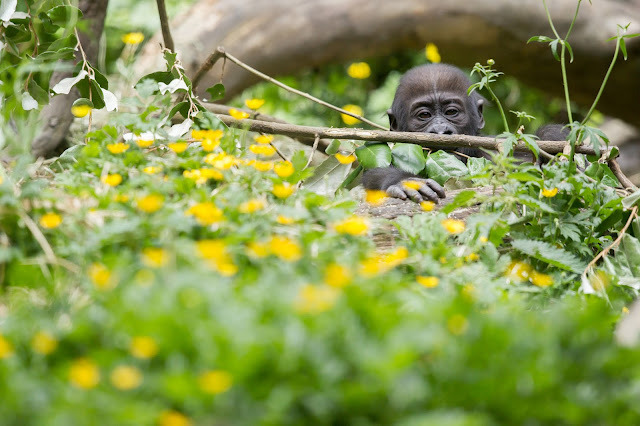 During his first outdoor exploration, Aibek took his time sniffing around the grasses and pine trees and then made his way to the top of the rocky hill—and just like his parents—promptly found a spot that was nearly out of sight. 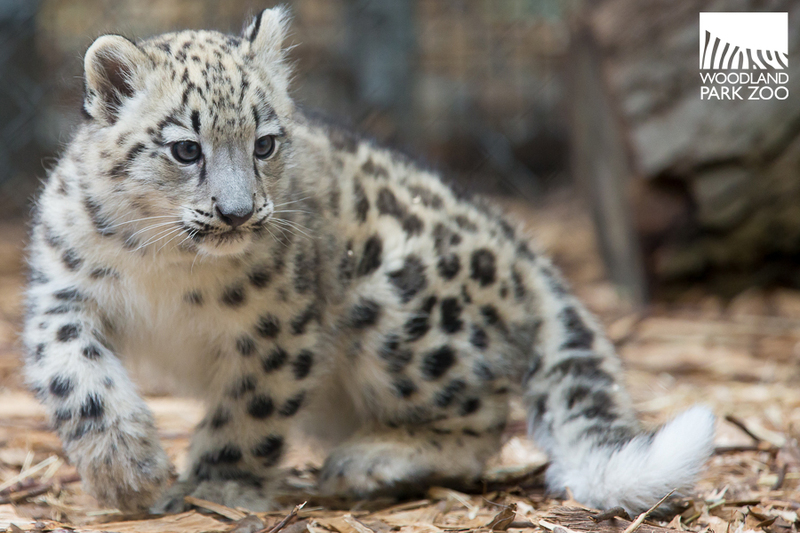 Snow leopards are extremely elusive and are nicknamed ghost cats, since they are so difficult to spot in the wild. 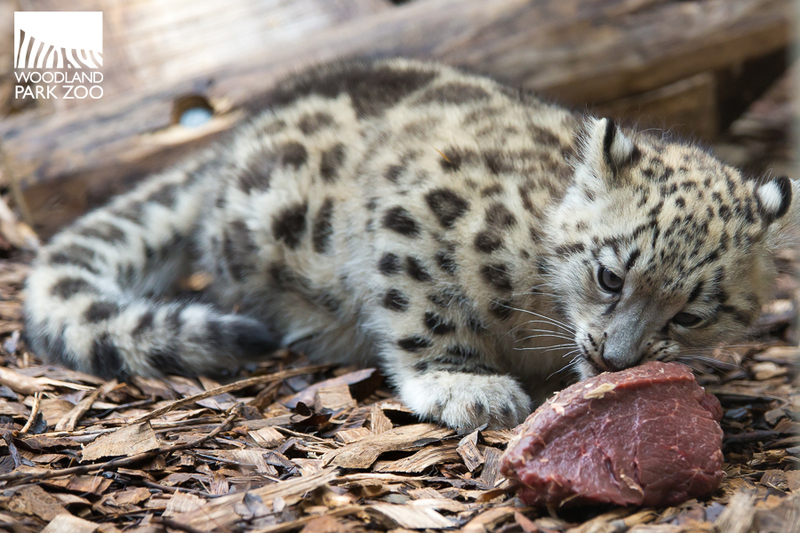 Aibek already has a perfectly camouflaged coat, which would keep the little cub safe in the snowy mountains. He also has some pretty stealthy moves for a 2 month old, even Helen has to stay vigilant to keep him in her sight. Aibek is the first single cub to be born at Woodland Park Zoo, usually snow leopards have a litter of two or three cubs at a time. Keepers say that because of this, Aibek might be a bit more timid when it comes to exploring new spaces, but so far the little guy has shown us he is fairly confident in the outdoors. Helen is an experienced mom, so keepers say they have full confidence in her ability to keep Aibek safe. The cub was born July 6 and is the first offspring between mom Helen and dad Dhirin (pronounced as did-in), both 12. 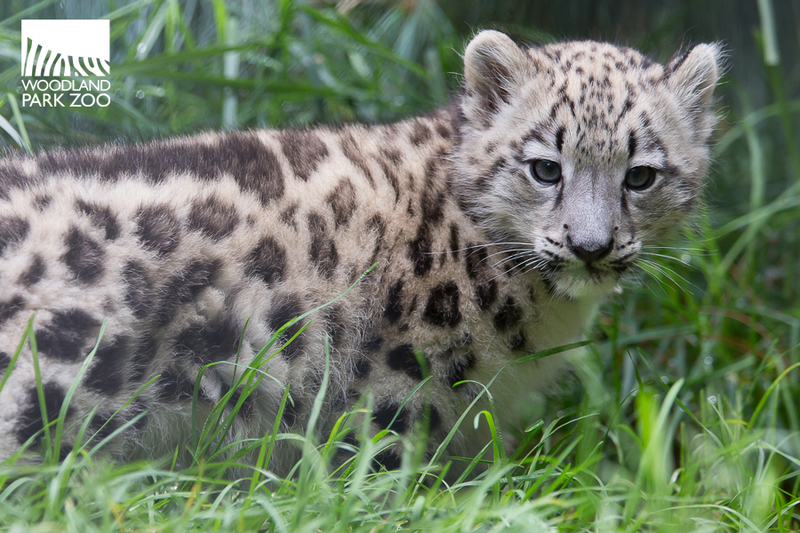 While Aibek will stick close to mom, Dhirin is in a separate yard since male snow leopards are solitary creatures. Getting weighed before heading out into the drizzle! 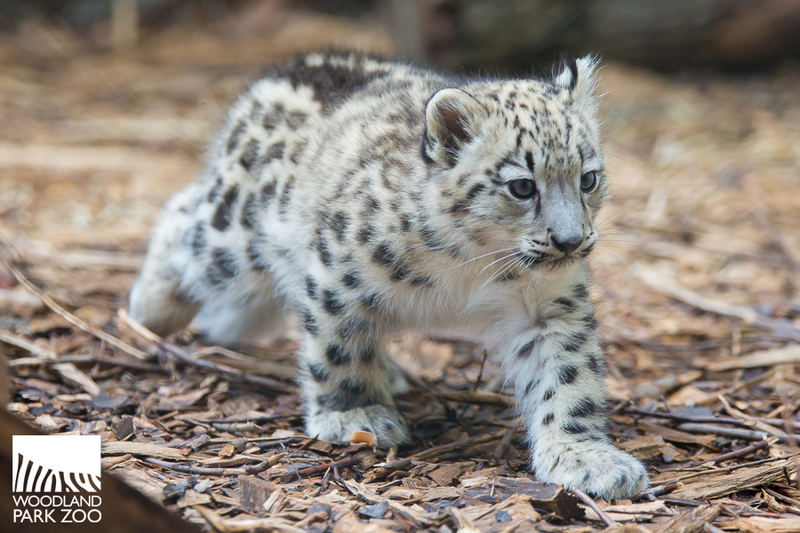 Snow leopards are listed as a vulnerable species. The snow leopard is a moderately large cat native to the high mountain ranges of Central Asia and Russia, including in Afghanistan, China, India, Kyrgyzstan, Mongolia, Nepal and Pakistan. According to the Seattle-based Snow Leopard Trust, the population of these endangered big cats in the wild is estimated to be between 3,920 and 6,390. 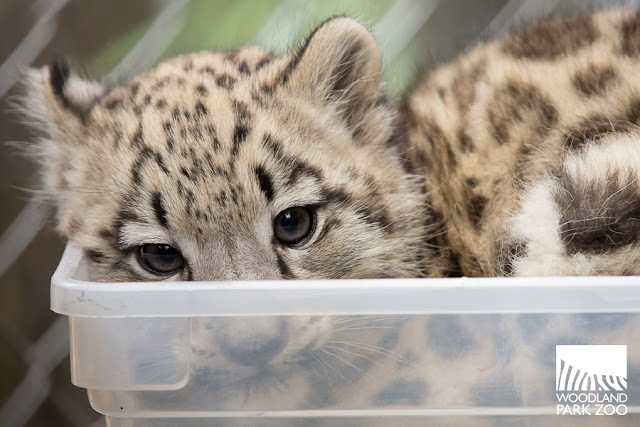 Woodland Park Zoo has long been a conservation partner with the Snow Leopard Trust (SLT); the two organizations are partnering with Kyrgyzstan's State Agency for Environment Protection and Forestry to protect the snow leopards of the Tian Shan mountains. Research cameras set up in the Sarychat Ertash reserve allow researchers to monitor the area's snow leopard population, which they estimate to be around 18 cats. 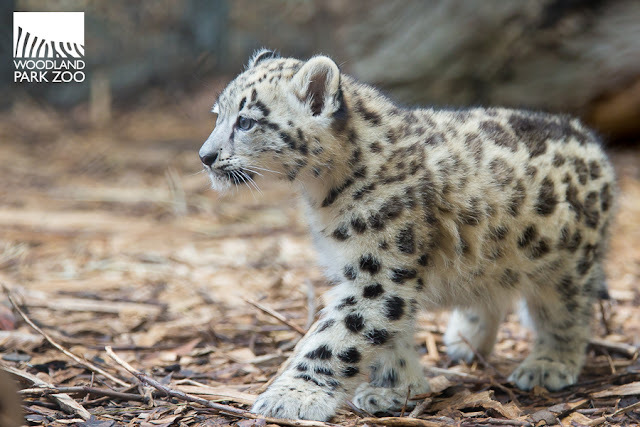 Through innovative programs, effective partnerships, and the latest science, the SLT is saving these vulnerable cats and improving the lives of people who live in the snow leopard countries of Central Asia. 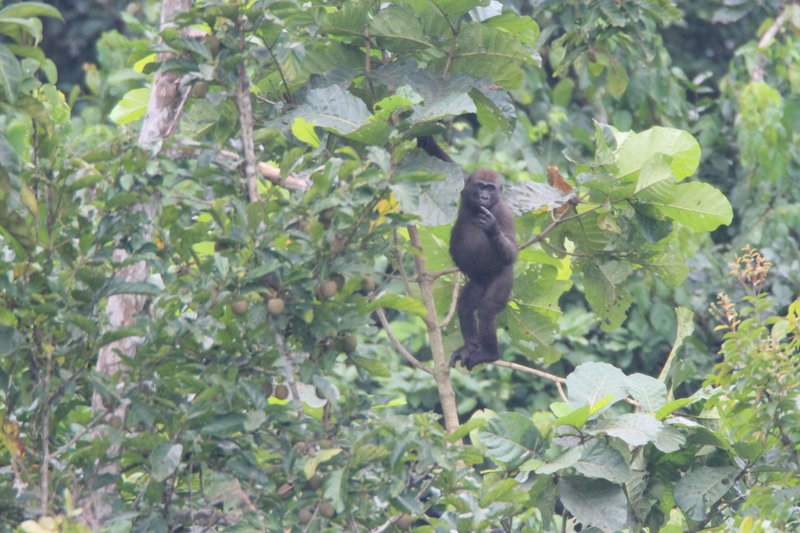 At Mbeli, we follow the interesting lives of many different gorillas. One of our most fascinating stories is that of George’s group. George was already an adult silverback when the Mbeli Bai Study started in 1995. He acquired his first females in 1998, and became a successful harem holder, siring a total of 19 offspring. 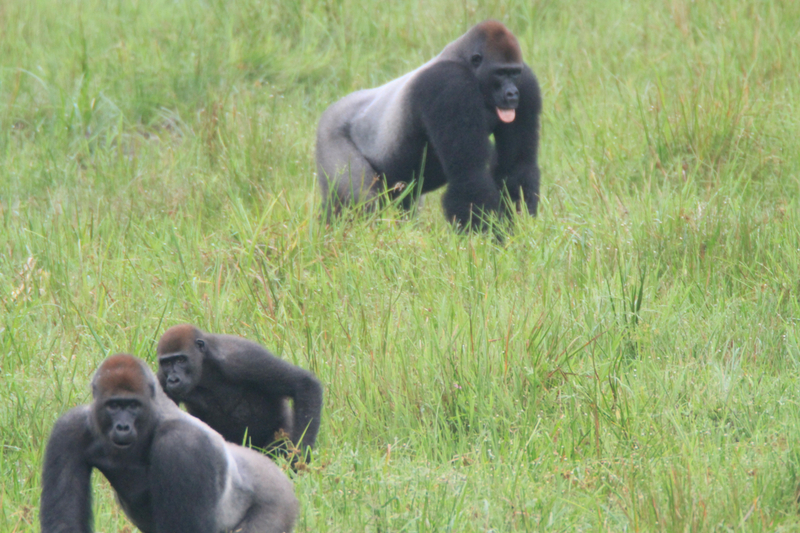 One of the females in his group, Leah, became famous worldwide for the first observation of tool-use by wild gorillas. From 2004 onward, George’s group slowly started to reduce in size as he lost female after female. From 2012 onward, George started to mingle with another group: Morpheus’s. Morpheus (back), George (front) and Jockey (center, offspring of Morpheus) are tolerating each other in close proximity as their groups are mingling in the bai. This occurred regularly in the period between 2012 and 2016, until George was last seen. Photo courtesy Marie Manguette. There appeared to be some sort of unique fission-fusion dynamic going on in which the groups would sometimes visit the bai together, and other times, separately. This development was highly surprising as western lowland gorillas, unlike their mountain cousins, are generally very intolerant of other adult males within the same group. George still had one reproductive female (Bessie) in his group as well as dependent infant, Obama. The risk for infanticide or sneaky copulations could be lurking around the corner. Obama is George’s youngest infant; he was still dependent when George’s group first started to mingle with Morpheus’s group in 2012. He was four years old when Morpheus accepted him and his brothers in his group. Photo courtesy Marie Manguette. Morpheus is quite a special silverback himself. His physical appearance stands out because of a massive drooping lower lip. Morpheus has been known to the study since 2003. He had a modest breeding group and sired one of the five twin sets observed at Mbeli (Neo and Niobe). By 2011, he had lost all his females and became a single dad. His older sons were known to be some of the bravest (or craziest?) gorillas in our population; chest beating to anything from sitatunga, to cobra, and even elephants. Morpheus is the silverback gorilla who ‘adopted’ George’s kids in 2016. His interesting physique, including a large, drooping lower lip, makes him easily identifiable. Photo courtesy Marie Manguette. It was sad to see how George slowly became weaker and older, turning feeble and skinny. The frequency in which he mingled with Morpheus increased during this time. He was last seen in March, 2016, and is assumed to have passed away at the respectable age of 41 years. His faithful ‘wife’ Bessie has also not been seen since. Interestingly, Morpheus took mercy upon George’s kids, the little four-year-old Obama, the handicapped Booker, who cannot use his left hand, and the handsome young silverback Custer. These three fellows have been visiting the bai with Morpheus ever since they lost their dad. Morpheus defends his adopted children as vigorously as his own, which was exemplified during a recent visit when a solitary silverback came too close to Custer, after which Morpheus ignited in a raging session of chest beats and splash displays. Video: Jockey bluff charging Kotick. Jockey and his adoptive brother showing off against an adult silverback. This video, although a bit wobbly, shows an interesting interaction between Custer, George’s biological son (right back), Jockey, Morpheus’s biological son (left front), and an adult solitary silverback named Kotick (right front). Custer can be seen ‘tight-lipped’ (a type of agonistic display) in the beginning of the video, after which suddenly Jockey decides to bluff charge through the water which startles Kotick. These extraordinary developments in the group’s composition raise interesting questions: Were Morpheus and George related? Would Morpheus accept, raise and protect non-relatives? Did George have an intention for the future protection of his offspring when he started to mingle? For how many of the younger gorillas in our current non-breeding groups can we safely assume that the silverback is their biological father? How often do these alternative group compositions occur? What implications can such information have on management in human care? All these and more are the interesting research questions we will continue to follow at Mbeli Bai. 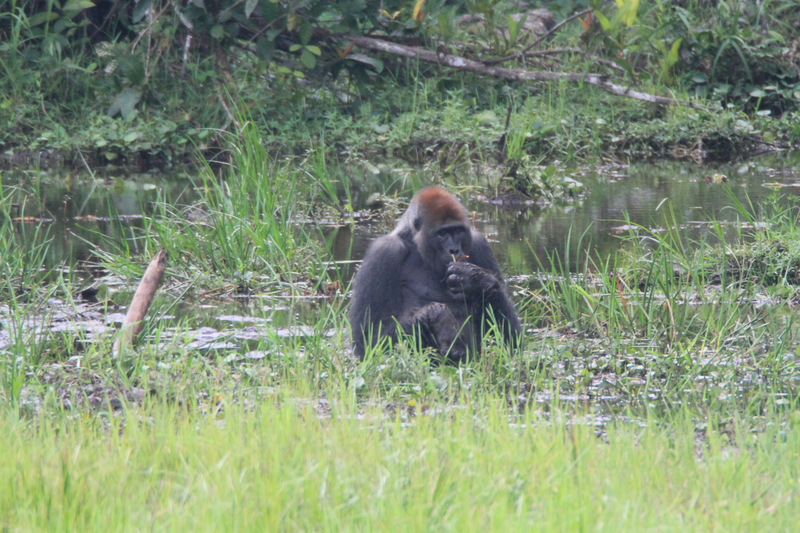 Woodland Park Zoo has supported the Mbeli Bai Gorilla Project since 2001 through our Wildlife Survival Fund. 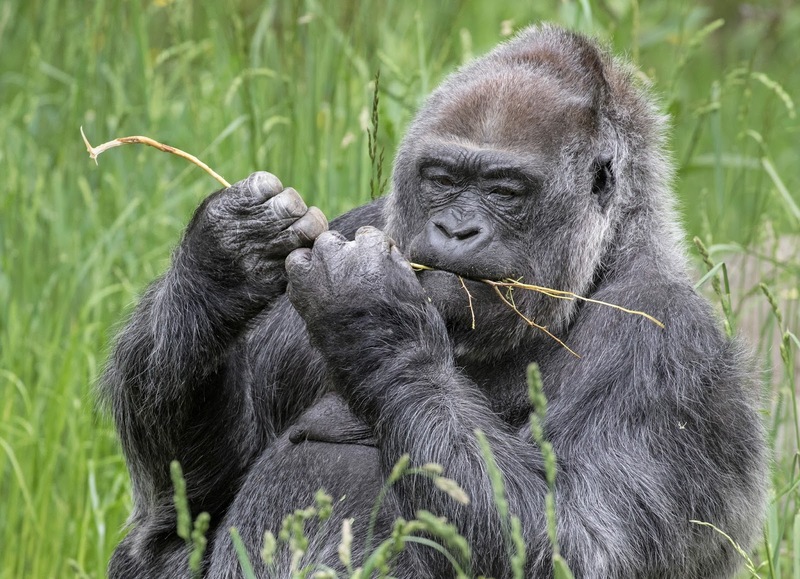 Since the establishment of the Mbeli Bai Gorilla Study in 1995, the focus has been on the continuous monitoring of the visiting western lowland gorilla population to gain insights into population dynamics, demography, social structure, and behavior. This information is crucial for assessment of a population’s vulnerability to threats, predictions of their ability to recover from decline, and formulation of effective conservation strategies. In 2016 alone, with regular monitoring of the bai, data has been obtained on 26 gorilla groups and 12 solitary males, totaling 200 individuals.